This was an interesting week in the media world – perhaps not as eventful as the previous ones, but certainly as thoughtful. From theoretical debates to court battles, here’s our recap of the latest hot topics. The death of TV commercials? Dish Network’s Auto Hop may be popular among the company’s customers, but the same isn’t true of content providers. As a matter of fact, Fox finally decided to file a lawsuit against Dish – and competitors could soon follow. Shortly after the ad-skipping feature was launched, media conglomerates such as CBS had already voiced their concern about this potential threat to their business model. 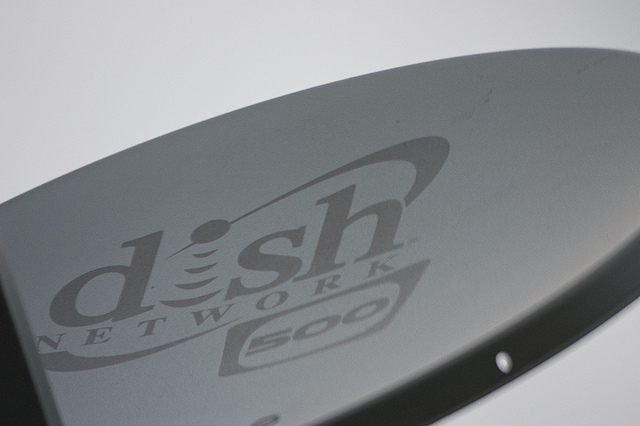 However, Dish isn’t taking a passive stance, and we learned last Friday that it had also decided to take networks to court, in the hope that a judge will declare that this new service doesn’t infringe on copyright. No matter what the decision is, one question remains: how can TV remain sustainable as a business if viewers are skipping ads? As we reported last week, online news outlets face a similar issue, and insiders openly acknowledge that they should reconsider their reliance on low-performing banner ads. This isn’t only about blockbusters and popular titles, and Amazon also has what it takes to leverage the long tail and attend customers that traditional players weren’t able to reach. On one hand, it is launching a new store called ‘Never Before on DVD’, which features over 2,000 titles that have never been available in this format. On the other hand, Deadline report that it could pick up the TV series ‘Pan Am’, following its cancellation by ABC. Although negotiations are reportedly still ongoing, it wouldn’t be surprising if Amazon decided to go ahead and license the series – as we reported, it is showing increased interest for original and exclusive programming. While this could have a big impact on the film & TV industry, we are convinced that Amazon has the potential to disrupt it even further – and all it takes is one small hardware device, aka an Amazon-branded set-top box. As pointed out by our managing editor Martin Bryant, the time is right for Amazon to ‘do a Kindle’ on the TV industry, and do the same for this sector as it did to the publishing world. One of the most interesting conversations this week took place on Twitter between Anthony De Rosa, Dave Winer, Felix Salmon, Jay Rosen and Jeff Jarvis. Initially sparked by a complex Reuters article on the Facebook IPO, it turned into a clever discussion on the future of the article – if you have a bit of time on your hands, it is well worth reading the Storify version. One of the most interesting takes was Jeff Jarvis’, who then expanded his view in a blog post. According to Jarvis, online articles should now replace background paragraphs with insightful links. Background paragraphs, he explains, have always been a stopgap; in they “necessarily ill-serve everyone: too little for the novice, too much for the expert.” In contrast, online journalism means that writers can now suggest additional reading to the curious, without forcing it onto all readers. Adding links to online articles may sound simple, but it actually implies a cultural change. As Felix Salmon puts it, “it’s basically moving away from the idea that the unit of news is the self-contained story.” In other words, articles now belong to a much larger ecosystem. According to De Rosa, it could be interesting to have “a Quora for news sites,” where “users could ask more.” This would be one more sign of the growing integration between articles, images, tweets and other links, as exemplified by Storify itself. As for next week, we already have one story to which we look forward: “Everyone interested in the potentially precedent-setting dispute between broadcasters and the fledgling Aereo streaming service will be watching what happens at the U.S. District Court in New York beginning on Wednesday,” Deadline writes.